Winter pond care is vital to the ongoing health of your pond, whether it’s a wildlife one or a fish pond. Now’s the ideal time to get going on maintenance as your pond will be shutting down for the winter, with any animals in hibernation and plants going dormant. This way there’ll be less impact on the pond. If all your trees’ leaves have fallen now, remove any nets from the pond and clear away dead foliage. Clear away dead plant stems – an exception is any gunnera plants you have next to the pond – their leaves protect them from frost over winter. 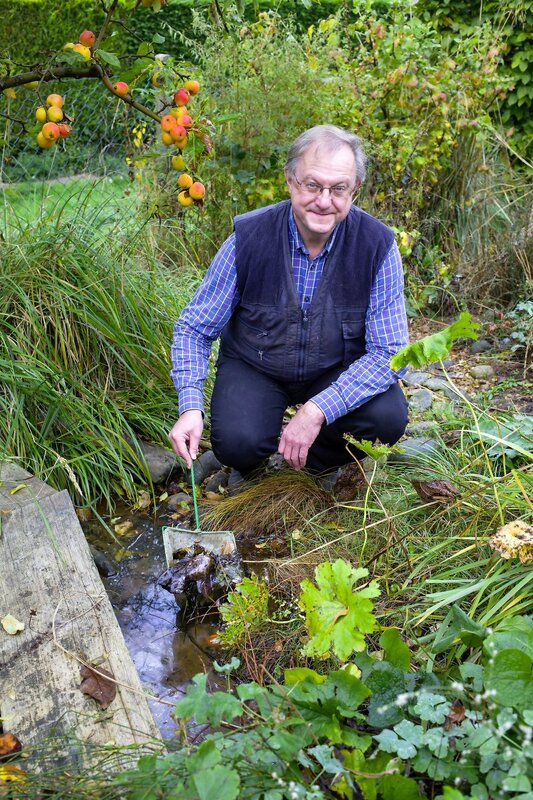 By keeping your pond pump running, if you have one, at a lower pace over winter, then it will keep the surface of the water rippling, which may reduce the chance of it freezing over. Frozen surfaces reduce oxygen levels to the pond. If you wish to clean your pond, prepare a holding tank for fish and other organisms as you drain the water. Remove plants and trim back and divide if necessary. Clean the pond liner and remove three quarters of the silt, replacing the rest once you’ve finished. Replace with rainwater and put back the plants. It may take a little while for the pond to return to normal. Clear snow as it comes, and trim back overhanging branches surrounding the pond, which may be restricting light.